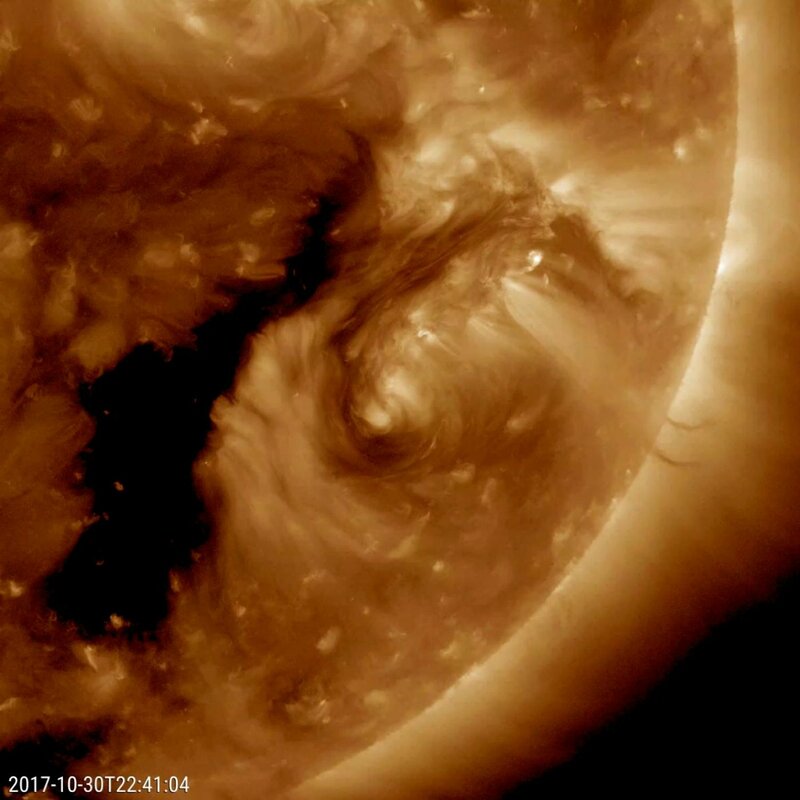 A NASA spacecraft observing the sun has captured a rare view of a strange occurrence: an 'encircling filament' which appears as a tendril of dark material near an active region (a 'hole') on the sun's surface. Solar filaments are giant clouds of charged particles that hover above the sun's surface and are tethered in place by the star's invisible magnetic field. This filament is considered an oddity because usually, filaments appear as elongated, ropy strands across the sun's surface. "Only a handful of times before have we seen one shaped like a circle," NASA officials wrote in an image description. "The black area to the left of the brighter active region is a coronal hole, a magnetically open region of the sun." "While it may have no scientific value, it is noteworthy because of its rarity."